Looking for a sporty SUV or a sleek, high-tech sedan? You’re sure to find it all at Bob Smith Toyota. We are proud to stand behind the Toyota brand and carry all of the latest vehicles straight from the factory. Here you will find the award-winning Toyota Camry, Toyota Corolla, Toyota RAV4, Toyota Prius, Toyota Sienna and many more. Truly, there is something for everyone in the Bob Smith Toyota inventory. Whether you live in La Crescenta , Pasadena, Glendale, Tujunga, Burbank, Eagle Rock, Altadena or Sylmar, CA, Bob Smith Toyota is worth a closer look. 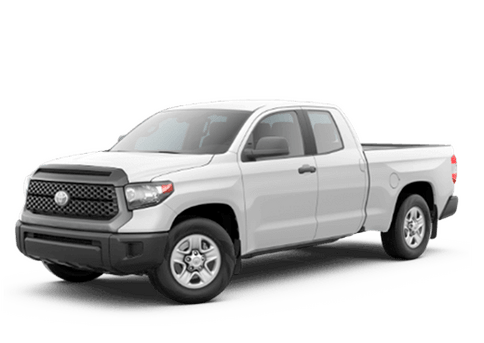 It’s nice to have plenty of options when shopping for a vehicle and that’s why we also carry a large selection of Toyota Certified Pre-Owned models. Not every pre-owned Toyota vehicle can receive this coveted certification. In fact, the process is quite rigorous. Not only must the vehicle pass requirements for age and mileage, but it also must pass an extensive inspection process. Only then does a pre-owned Toyota stand the chance of earning the certification. Not only are Toyota Certified Pre-Owned vehicles maintained to Toyota factory standards, but each comes with several perks, including a 7-year or 100,000-mile Powertrain Warranty! Have something else in mind? We also carry a large selection of pre-owned vehicles in a variety of vehicle makes and models. In fact, we have trucks, minivans, sedans, hatchbacks, SUVs, crossover SUVs and much more. Most importantly, every vehicle in our inventory has been hand-picked and thoroughly inspected. We are pretty particular about what we add to our inventory and only the best will do for our customers. That’s why when you shop at Bob Smith Toyota you can expect nothing but world-class service and selection. Best of all, our used vehicles come with one free year of maintenance up to 15,000 miles. In addition to our extensive new and pre-owned vehicle inventory, Bob Smith Toyota is also home to an award-winning Toyota service department. There, our team can handle any repair or service need your vehicle might have. From quick oil changes to major engine overhaul, there isn’t anything our team can’t do. We are proud to be a genuine Toyota service center and our department is staffed by Toyota factory trained and certified service technicians. With that said, our team works on all different vehicle makes and models. Most importantly, they always use the best OEM Toyota parts. We are always running service specials, like our buy three tires and get one free program! Here you will also find a complimentary two-way shuttle service for your convenience. Our customers deserve the very best and that’s why we work hard to provide them with plenty of options. That includes not only our huge new, used and certified pre-owned inventory, but extends to our Toyota financing department. There, our experts work with a variety of financial institutions and lenders in order to provide our customers with a variety of financing opportunities. Whether you’re looking to buy or to lease, the Bob Smith Toyota team will create a dedicated financing package just for you. Contact the Bob Smith Toyota team today and start exploring all that is available to you! We hope you will consider giving Bob Smith Toyota a closer look today! Whether you visit us for service, financing or to shop for your dream car, you will experience nothing but exceptional service at Bob Smith Toyota. We look forward to meeting you!